Natural wetlands are a common feature in and around waterways. Wetlands are an area of land that is covered with water, either permanently or at certain times of year. Wetland systems can be constructed as a method for cleaning and storing urban stormwater runoff. The water within them can be still, flowing, brackish, salty or fresh. Wetlands are rich in biodiversity and provide a range of ecosystem services. 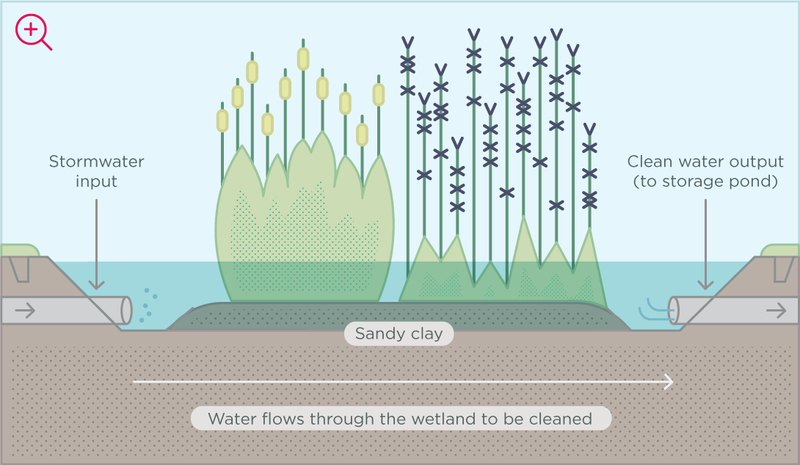 Biological processes within wetlands naturally remove pollution from water. Artificial wetlands are often constructed in urban areas to capture, treat and store stormwater runoff. 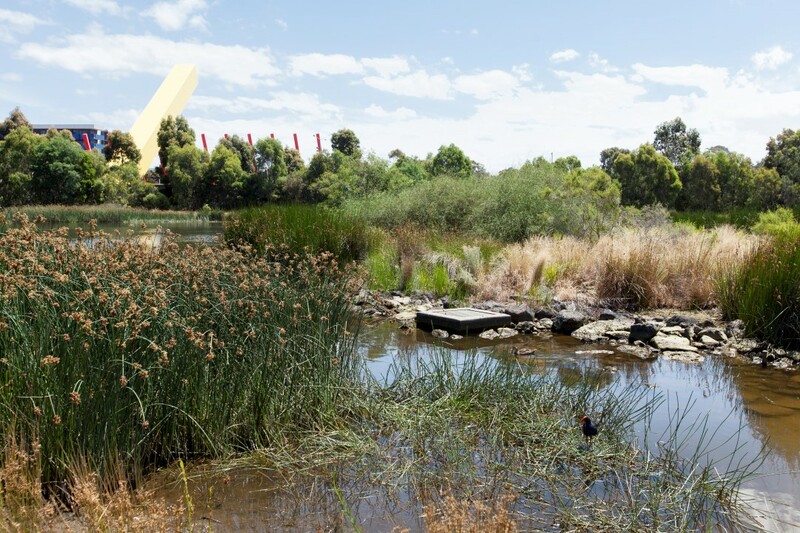 Read about the constructed wetlands at Royal Park or watch the video. Wetland plants help to remove pollution from the water as it flows past.